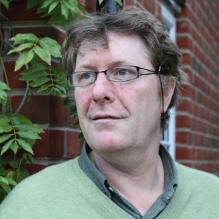 Andrew has been involved with the self-growth and the counselling and psychotherapy world for over thirty years. He first came across Psychosynthesis in his late teens and it still remains his core model as it offers a view of the human condition that includes our highest aspirations as well as our more primal aspects. In addition to his training in Psychosynthesis he has extensive experience and training in other models spanning from traditional analytic thinking and practice to more contemporary relational models. As well as his work as a trainer and supervisor at the Psychosynthesis Trust, Andrew has worked with individuals and groups in many different settings, and in several countries, with a broad spectrum of clinical populations. He has worked in primary and secondary care as well as within various organisations in the third sector.